Little girl dies after allegedly being given the wrong blood a Lagos doctor. 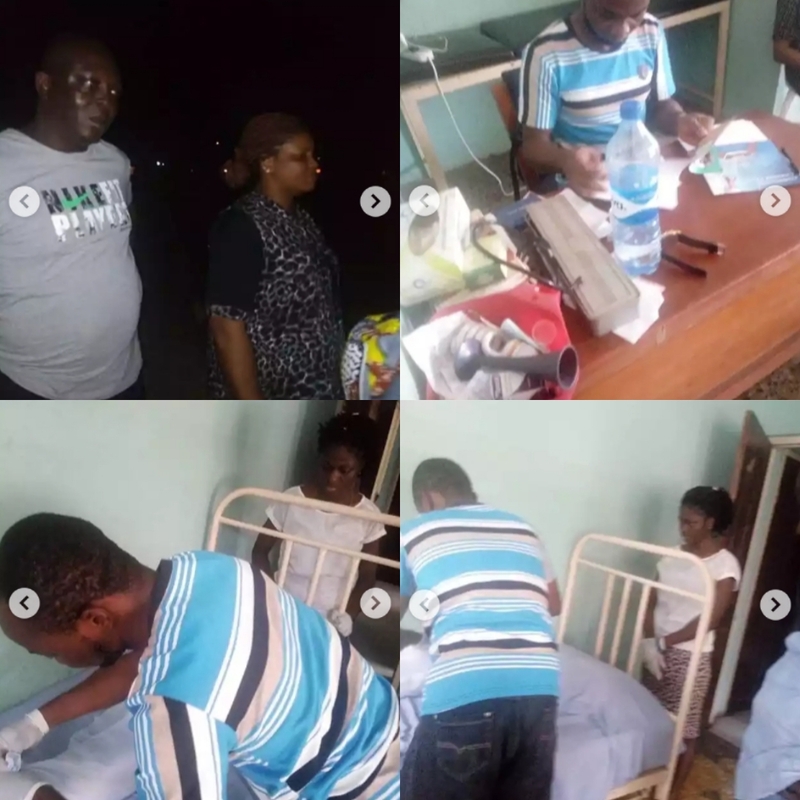 Beware of Dr Joy at Igando General Hospital, she transferred my cousin twins to her hospital from General hospital with out attending to the baby in the general hospital because of her selfishness interest, the baby was give blood with out know the blood group of baby and she gave up immediately. The hospital has no equipment and when giving blood the baby was reacted to the blood,struggling through out before she gave up. 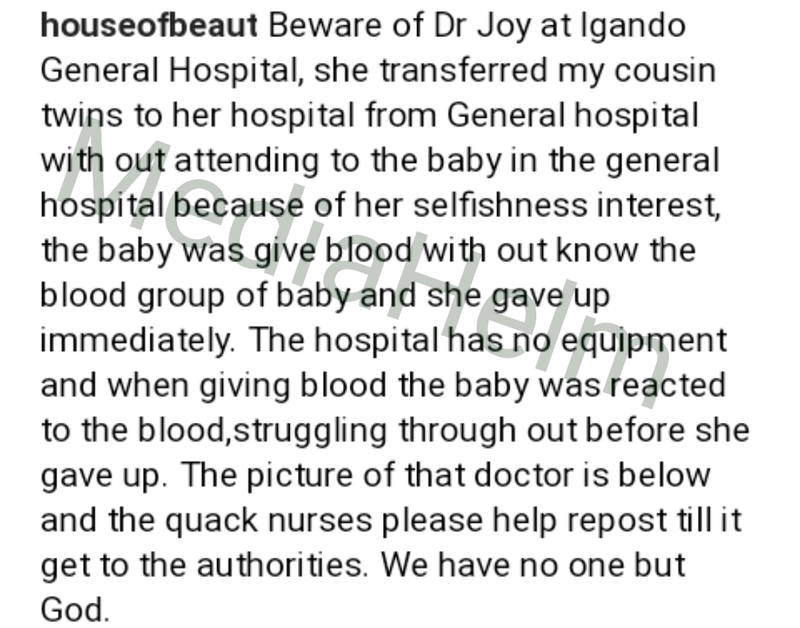 The picture of that doctor is below and the quack nurses please help repost till it get to the authorities. We have no one but God.